The island was initially discovered by Christopher Columbus. However, Spain ignores the island as there where many territories in the "New World" that where of far more interest to them. 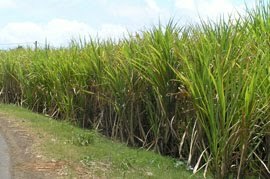 However, France did settle the island, and by the 1600's, had begun difficult, but lucrative cultivation of sugar cane from the island. Indeed, in 1636, Louis XIII passes a law allowing the forced relocation of Africans to the Caribbean to work as slaves on these plantations. Also, the French government promoted the island as a land of opportunity and a good life, and encouraged people to move to the island. However, the work was hard, and the island needed a constant flow of immigration to keep the islands development going. The island grew and developed, and soon was exporting to nearby Dutch and English islands. 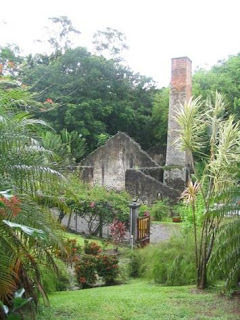 In 1650, the island took the step to build a distillery to create a second export from the island. Lucrative, but not to the levels of sugar cane. They took the waste from the sugar cane, and turned it into molasses. The 1700's saw the introduction of coffee to the island to become a third export. However, the French lost the island to the British in 1762. With the ending of the war, there was a real risk that Britain would keep the island, taking the hugely lucrative sugarcane industry for themselves. So desperate to keep the industry, France willingly gave up all territorial claims in Canada, amounting to thousands of square miles, in order to keep Guadeloupe and Martinique. With the rise of the French Revolution, Britain re-took the island in 1794, though they returned the island back to the new government of France in 1802. Though, the British returned in 1804 and built a small fort, which lasted for 17 months. The British returned again in 1809, and this time, kept the island until 1814. This meant that Britain abolished slavery on the island. With the return of the island to France, Britain forced France to keep the abolition in place, though it really took France to 1831 to fully enact the abolition. 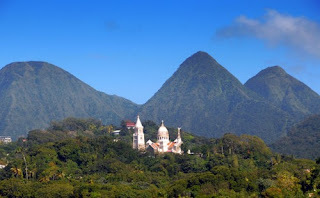 In 1946, Martinique followed its sister island, and became a department of France. This then gave them access to French funding, which was used to replace the destroyed economy which had seen its sugarcane industry devastated by hurricanes. The French funding has resulted in one of the highest standards of living in the Caribbean, though Martinique is still reliant on central government funding. Martinique as an department, uses the French tricolore flag. 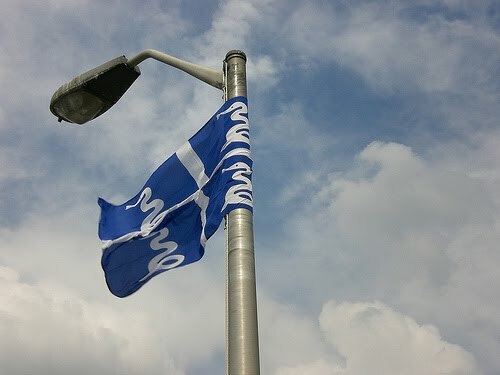 However, it does have an unofficial flag. In 1766, a decree was issued that specified that vessels from French islands should use flags based on the French jack, a blue banner with a white cross. So, the island of Martinique also has its own unofficial flag. This flag takes the French jack of a blue banner with a white cross, and places a white snake in each canton. The snakes ar Fur de lance Vipers, native to the island, and shaped in an L shape, to stand for Lucia.